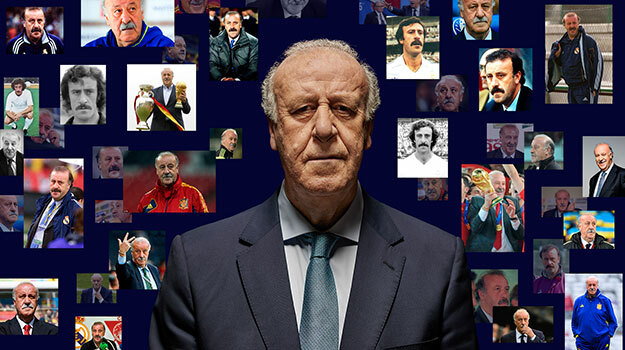 The world is full of famous moustaches – Burt Reynolds, Ghandi, Emiliano Zapata – but none is more famous in Spain than football coach Vicente Del Bosque. That’s why the country went wild when he recently revealed his new look, sending shock waves in the press, social media and chat groups everywhere. To fully understand this campaign there are several key things to know. Prawns are a celebratory treat that are a staple on each and every table at Christmas time in Spain. It is well known that higher quality prawns have their antennae intact. These antennae are warmly referred to as a moustache in Spanish – bigote. As much as prawns are a table top item, Vicente del Bosque is a household name. He was responsible for coaching the team that went on to win Spain´s only World Cup victory, uplifting an entire nation and cementing his place in the hearts of football fans everywhere. His moustache has been with him for 45 years, is it his calling card, his identity and has been inseparable from who he is, until now. “Vicente was into the idea from the very beginning. He thought it was funny and sweet and knew his fans would forgive him for making such as a drastic change. Pescanova knows that connecting with Spanish people in an emotional way, with humor and charm, was key to making this campaign a success. As an agency we are always looking for ways to turn a 1 euro investment into 10 and developing ideas that get people talking and sharing lead to better results,” says Pancho Cassis, executive creative director, LOLA MullenLowe Madrid.